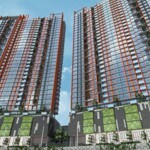 Taman Skyridge, an ongoing affordable housing development by OHM Group at Tanjung Tokong. It is located off Lebuh Halia, right next to Skyridge Garden. Other neighboring communities include The Peak Residence, The Latitude, Taman Mount Erskine, Mont Residence (under construction) and Tri Pinnacle (under construction). 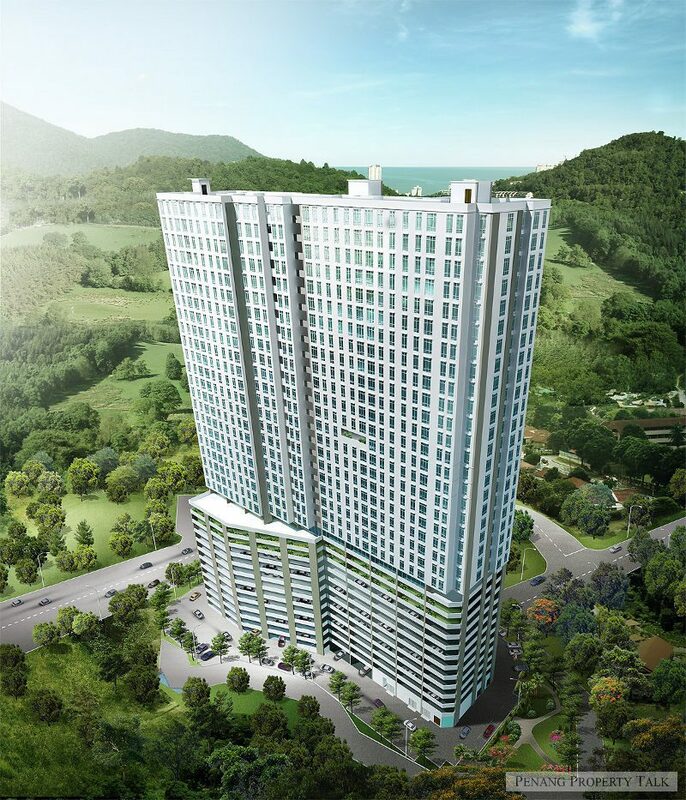 This development comprises a 35-storey building, offering 123 affordable units with indicative price ranges from RM200,000 onwards. Built-up Area: 750 sq.ft. & 850 sq.ft. Sounds very cheap, but maybe very high density? I just heard someone said Skyridge is the cheapest among the few developments there, and Mont Residence is the most expensive. Please send me more details about this project thank you. i want to know more detail about tis project..
Pls send details of the project to me as well..
Next monday going to pay 27K. p/s It is combination of 72.5K, 200k, 300k in one block. More than 400 units. Pls sent more detail about this project! Choo,this project under housing govt control u cannot simply get it behind long waiting applicants in the list. I was advised the same as u but the developer can hold ur money up long in months with no guarantee u will get the unit. There is only 31 unit for RM200k,the govt will serve who come first in the qualified list.My friend finally got one after 4 years wait. I am in the waiting list since 2007 for lmc, now my salary cannot buy lmc so I shift to rumah mampu milik. Choo,u deserve it after waiting 9 years…I prefer other project not this one. Please kindly send me the details for this project. Very interested. Please provide to me details information pertaining this project. Really interested and excited about his project. A lot of thanks. Please share detail about this property. Thank you. I just the offer for 850sqft. 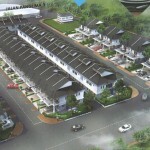 Today i went to the sales office at Wisma Sri Perak, 850sqft is RM300k without any car park. Sales person said need buy 2 car park (RM70K). Total amount is RM370. One floor consist of 18 units. Facilities as stated above without swimming pool. Pm done. All details have been sent. still available for low cost apartment? The list of berjaya tawaran is out and I am the 1/24 got offer RM270k. Today everyone signs snp at Eco Hill Realty. Where did you get the info for the LMC and units available? Is it still available to apply now? Appreciate your advice, thanks. The info is as at 1-11-2016. The info is blank now. I think it was there for only few days. I was showing the berjaya tawaran, if needing to know baki unit, please contact Ecohill Realty. How long its take for OHM appointed lawyer to contact buyer to sign Legal SPA after bank loan approved? This developer sign SPA once 10% payment. Bank loan within 30 days after SPA. I pay RM70k for 2 car park. Loan approved. Waiting for loan documentation. I was told that this developer does not waive the interest. Do you have any reason to get the interest waived? choo, mine is for 75k for one house.. I think yours in RM72.5k, there is nothing RM75k. Mine is RM200k. RM70k for 2 car park lot side by side. 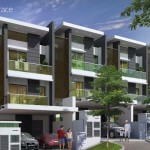 This developer charges me few hundreds of late interest for my previous LMC RM72.5k house. How come the loan documentation is so expensive??? That appointed lawyer firm is famous with cheap cost. Remember to negotiable directly with the lawyer- Ms Shirley. Mine one is 172.5k plus 2 carpark,Loan documentation is rm3k. Its could be lower. For your reference. Mine is 200k +70k for 2 car park. Total 270k. Interested, can I have more details? and Requirement to apply for this? need go komtar for registration or as long as penang state people?if yes, then I am. 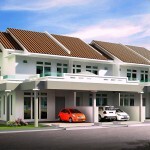 I’m interested, can I have more detail regarding this project, like floorplan and requirement. If one is offered the unit… Should he take it? Hi, Can you send me more information ? Everyone already get copy SPA from lawyer office?? last year 08-11-2016 snp stamping d. signed at september. Hi is there still any available unit to buy now? juz check from komtar lv20 flr..
850sqft left only 21 units ..? any1 can confirm? any1 visted the sale soffice yet? any info to share? Hi, I just want to ask, did you accept the offer? I got the offer too, but the house layout looks weird. 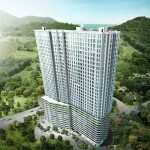 May i know that Taman Skyridge project when can fully complete (means 100% complete build) ? 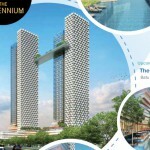 May I know that Taman Skyridge project when can complete (means 100% complete build)? Dude of course its worth buying. For Tanjong Tokong land, i dont think theres any cheaper place with such facilities at that price. Helen, that would be mid of 2018. May i know if the 400k unit still available? What is the size for the 400k unit btw? It will still be in the same building on both Tower A and B at Level 7 and 8(if my memory serves me right). 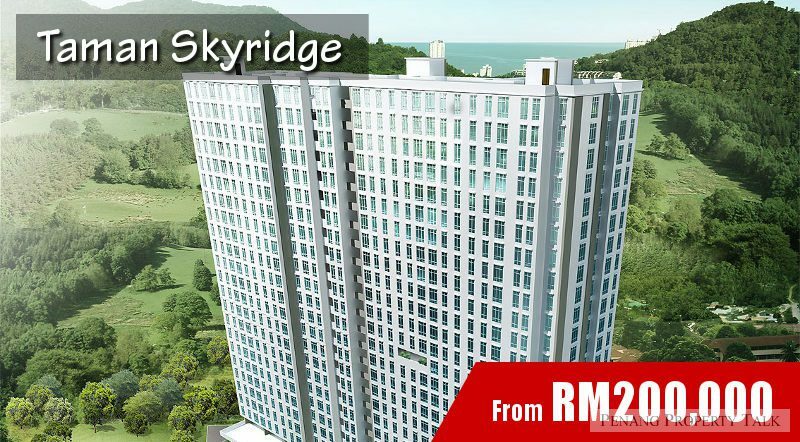 Skyridge Garden = condo 1450 sq ft price from RM718,000, Level 6 & 7 are for those compensated owners after the land being cleared. 72k, 200k & 300k are in taman Skyridge. 400k are in Skyridge Garden. 400k is the price without car park. They are selling at 500k with 2 car park. I’m choosing between properties in this area but I’m very concerned about the traffic. There’s only 1 road now to go into this area afaik. Is there any chance of new road connecting to the main road? Is it a freehold or leasehold? my friend received a letter from the bank stated it’s a leasehold property? I will take key tmr.Is there have whatapps group about skyridge apartment only for owners?I have 3carparks,planning to rent a carpark in the future. Is there any unit available for this property? I create one first. Anyone know any existing group? Thanks choo.i dunno whether got existing group or not. Hi, Can we assign outside constructor to do grill door or renovate house?